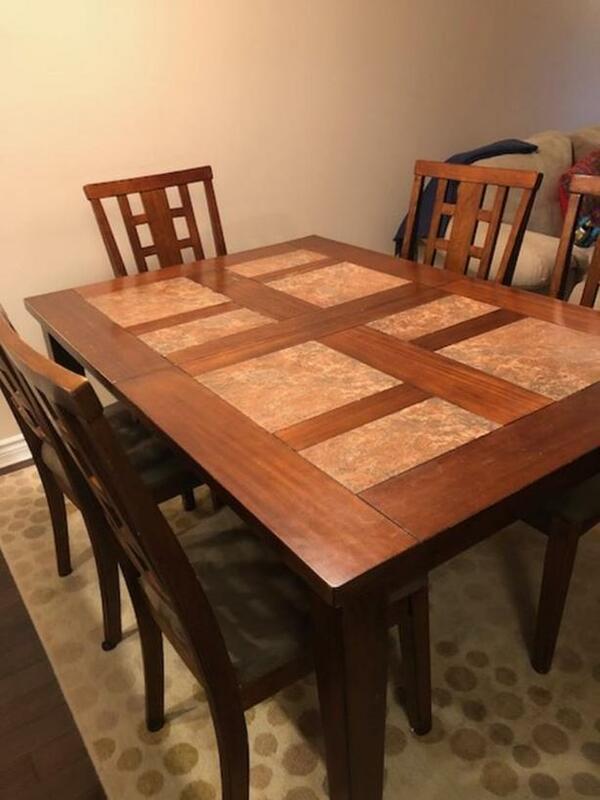 Nice, sturdy dining table with 6 chairs. It comes with an extension on the top. Has a few scratches but still looks gorgeous. It was purchased from Ashley furniture. Made from fine quality wood.